If you're looking for a quality selection of low-priced used Chrysler vehicles, you won't be disappointed by what you find at Courtesy Chrysler Dodge Jeep Ram. 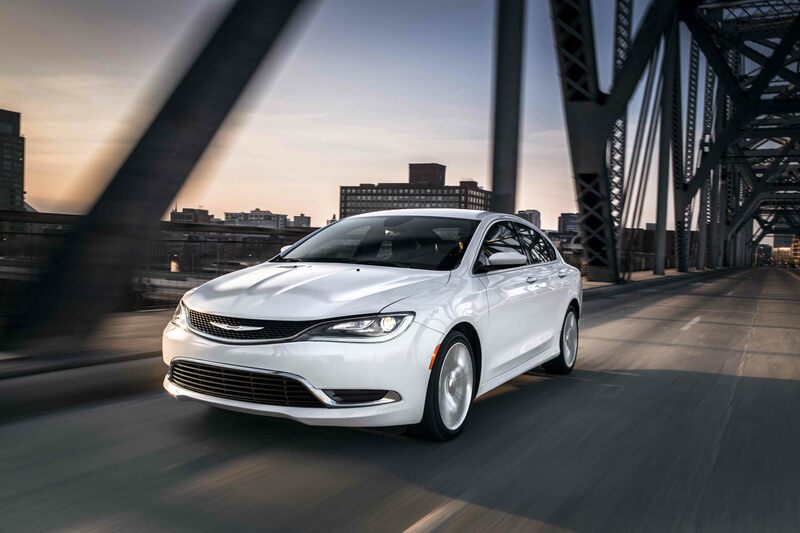 At our used Chrysler dealership in Grand Rapids, Michigan, our handpicked inventory of pre-owned Chrysler vehicles includes used Chrysler 200, 300, and 300C sedans, and used Chrysler Town & Country vans. What's unique about the Chrysler family of vehicles? Full of class, sophistication, and family-driven values, the Chrysler lineup of cars and vans is a step above the rest when it comes to style and execution. If safety-forward technology and sleek design are top on your list of priorities, the Chrysler brand is definitely for you. To test drive from the lineup today, stop by and see us on 28th Street Southeast, across from Grand Coney and The Spray Station. Find a used Chrysler model at your local Grand Rapids, MI Chrysler dealership. When you combine excellent customer service with clear, straightforward communication, you get Courtesy Chrysler Dodge Jeep Ram. Thanks to the experienced professionals in every one of our departments, you'll discover a world of difference wherever you turn at our used Chrysler dealership in Grand Rapids, MI. From the sales floor and finance department, to the service center and parts department, our team of specialists is always ready to help and always puts you and your goals first. To experience our topnotch service for yourself, stop by and say hello today. Whether you're interested in finding the best auto financing program or auto loan rate for your budget, the car financing experts at our used Chrysler dealership in Grand Rapids, MI are here to help. No matter your car-buying goals, our finance department has the skilled professionals to get you there. And because we don't believe in a one-size-fits-all approach to buying a car, we always take the time to cater to your personal financial situation. Ready to get on board with your favorite used Chrysler model? Get in contact with the finance department at Courtesy Chrysler Dodge Jeep Ram and ask how you can start the process now.